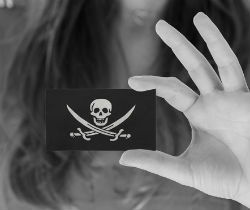 A federal court in Florida has granted a preliminary injunction against more than two dozen relatively small pirate sites. The order allows the media conglomerate ABS-CBN to seize the associated domain names. In addition, advertising networks including Google Adsense and MGID are instructed to freeze their funds. In recent years, ABS-CBN, the largest media and entertainment company in the Philippines, has filed a series of lawsuits against pirate sites in the US, with the popular streaming portal Fmovies as the biggest target. The company has already won several cases with damages ranging from a few hundred thousand to millions of dollars. However, the associated injunctions in these cases are perhaps even more significant. We previously covered how ABS-CBN managed to get court orders to seize domain names, without the defendants getting actively involved. This is also the case in a recent lawsuit where a Florida federal court signed a broad injunction targeting more than two dozen sites. The websites, including dramasget.com, latestpinoymovies.com, pinoydailyshows.com, tvnijuan.org and weeklywarning.org, may not ring a bell with a wide audience but their domain names have all been suspended, linking to a takedown message instead. And there is another interesting element to the injunction, which hasn’t been widely used in the past. Hoping for a good shot at some damages down the road, ABS-CBN put in a request to freeze the advertising revenues of these sites at Google Adsense, MGID, Popads.net, and elsewhere. The court signed off on this, and added it to the preliminary injunction. As a result, the advertisers must freeze the funds until further notice. None of the funds of the defendants are allowed to be moved. Instead, the court order directs the advertising companies to transfer everything to a holding account that is known to the court. On top of that, Google Adsense, MGID, and the other advertising companies must send the copyright holder an overview of the revenue in each account and all transactions associated with it. Needless to say, this injunction will have a pretty severe effect on alleged pirate sites. Not only do they lose their preferred advertising outlets, but they also miss out on any pending revenue. The sites that are targeted in this case are relatively small, but it could, in theory, happen to the big players as well. While the RIAA and MPAA are not involved in this case, we’re pretty confident that they are watching this case very closely. Finally, the injunction sheds an interesting light on which registrars and registries swiftly respond to US court orders. At the time of writing all .com, .org and .net domains are suspended, but some of the .ag, .ch and .ph domains are still operational. With new ads, of course. A copy of the preliminary injunction is available here (pdf).